Does Jewish Law Justify Killing Civilians? This article is part 10 of LoonWatch’s Understanding Jihad Series. Please read my “disclaimer”, which explains my intentions behind writing this article: The Understanding Jihad Series: Is Islam More Likely Than Other Religions to Encourage Violence? Islamophobes like Robert Spencer and Pamela Geller claim that Islam is more violent than other religions, particularly Judaism and Christianity. To prove this, they argue that the Islamic holy book, the Islamic prophet, and the Islamic God are all uniquely violent–certainly more so than their Judeo-Christian counterparts. Instead of defending their initial claim (which they simply cannot), the Islamophobes quickly shift gears and rely on a fallback argument: they argue that “the Bible doesn’t actively exhort its believers to commit acts of violence, unlike the Quran.” I refuted this argument in part 6 (see 6-i, 6-ii, 6-iii, 6-iv) in an article entitled The Bible’s Prescriptive, Open-Ended, and Universal Commandments to Wage Holy War and Enslave Infidels. Once that argument goes to the wayside the Islamophobes then jump to their next fall back argument: “most Jews and Christians don’t take the Bible literally like Muslims do the Quran!” I refuted this argument in part 7, showing that they do in fact understand the Bible very, very literally. In a very predictable pattern, once this argument fails, the Islamophobes rely on yet another fall back argument, the famous cop-out “But That’s Just the Old Testament!”. I’ve refuted this argument in part 8. This is Spencer’s preemptive parry to any counterattack whenever anyone (like myself) responds to his cherry-picking of Quranic verses by reciprocating and finding similar (and even worse) passages in the Bible. We are told that modern-day Jews and Christians simply don’t take those passages seriously any more, that they are merely symbolic or that they are dead letters. Spencer et al. will then take a break from copying-and-pasting Quranic passages, and instead focus on “classical opinions” in the Islamic tradition, which they claim continue to be to this day the “orthodox, mainstream opinions according to the four schools of Islamic jurisprudence [madhaib].” By contrast, argues Spencer, classical and modern-day orthodox, mainstream interpretations of Judaism and Christianity have moved away from literal understandings of the Bible and opted for non-violent, peaceful understandings. However, I will prove that this is not the case at all. The violent verses in the Bible helped formulate the “classical opinions” of the Judeo-Christian tradition, and continue to be held by “mainstream, orthodox” groups today. In this article, we will examine the Jewish rabbinical tradition (both the “classical” and modern day situation); in a later article, we will grapple with the Christian side of things. [T]he historical comparison between the response to sharia in this country and Europe’s objection to Jewish law centuries earlier is a result of poor scholarship and faulty logic. Jewish law, certainly since the destruction of the Jewish Commonwealth almost two thousand years ago, has had nothing to do with political power or the desire to effect dominion over another people. To the contrary, the opposition to sharia is the fact that throughout the Muslim world, sharia is the call to an exclusive Islamic political power with hegemonic designs (see the two most prominent surveys cited here: http://mappingsharia.com/?page_id=425). The war doctrine of jihad is part and parcel of sharia. It is alive and well as such throughout the Muslim world. This is the same argument raised by Robert Spencer: Jewish law is peaceful and certainly does not call to violence or war like Islamic law does. I will proceed to categorically refute this argument. One of the fundamental differences between the Islamic canon (Quran and hadiths) and the Bible is with regard to discrimination: the Islamic texts explicitly, categorically, and emphatically command soldiers to fight combatants on the battlefield only, and totally forbid targeting and killing innocent civilians (women, children, the elderly, the decrepit, etc.). On the other hand, the Bible is replete with verses in which God Himself commands the believers to target and kill innocent civilians. In fact, the God of the Bible becomes very upset with those of his followers who fail to complete acts of ethnic cleansing and genocide. It is perhaps no big surprise then that one of the main ways in which the “classical” and so-called “orthodox, mainstream views” of the Islamic tradition differ from those in the Jewish tradition is with regard to discrimination: the Islamic tradition forbids its followers from targeting and killing civilians, whereas the Jewish counterpart permits it. 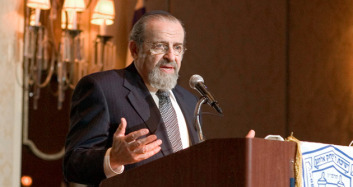 Every year leading Orthodox Jewish luminaries from around the world–including “rashei yeshivah [deans of Talmudical academies], rabbis, educators and academicians from America and Israel”–flock to The Orthodox Forum to discuss “a single topic affecting the Jewish world.” In 2004, the topic of choice was “War and Peace,” which was chosen due to “the United States’ involvement in Iraq” and “Israel’s ongoing war with terrorism” (quotes from p.xiii of War and Peace in the Jewish Tradition). After these influential experts discussed the issues surrounding “war and peace,” they published their discussion in the fourteenth volume of “the Orthodox Forum Series” in a book entitled War and Peace in the Jewish Tradition. As such, this book does not merely reflect the views of one or two Jewish authors. Instead, it “brings together the thinking of a wide range of distinguished American and Israeli academicians and religious leaders from various disciplines, to shed light on the historical, philosophical, theological, legal and moral issues raised by military conflict and the search for peaceful resolution” (p.xi) with the goal of appreciating “the relevance of Jewish sources in approaching contemporary challenges” (p.xii). Reading this very authoritative book, written by the brightest minds of Orthodox Judaism, I came to appreciate at least five major ways in which Halakha (Jewish law) permits shedding the blood of innocents–at least five major exceptions to the law of discrimination. The reader should keep in mind that these five different exceptions have nothing to do with “collateral damage,” the incidental or unintended killing of civilians, which is generally accepted by international law (with some important caveats). Instead, these five exceptions have to do with targeting and killing civilians. I purposefully say “at least five different exceptions,” since there are most certainly more, which I shall discuss in future articles. However, those other exceptions are debatable or held as minority opinions, such as the concept of targeted assassinations (debatable, I guess) and the idea that Palestinians should be exterminated because they are the modern-day Amalekites (a valid but minority “halakhic opinion”). Instead, I will focus on views held by the majority of mainstream Orthodox Jewish rabbinical leadership. The views of “traditional Jews” towards the Israeli-Palestinian conflict seem to fall in between the two major ideological groups: secular and Orthodox Jews. For example, whereas “only” 36% of secular Israelis support “price tag” terrorism against Palestinians and a whopping majority of Orthodox Jews support such tactics (70% of Religious Zionists and 71% of Ultra-Orthodox Jews), just over half of traditional Jews (55%) condone terrorism against the Palestinians. Orthodox Judaism is split between Modern Orthodox Judaism and Ultra-Orthodox Judaism (Haredi Judaism). In Israel, Modern Orthodox Judaism is dominated by Religious Zionism (alternatively called “national-religious”). This sect is widely considered to be the “mainstream” of Orthodox Judaism in Israel. It is this sect, therefore, that I will focus on in my article series. One should not, however, be led to believe that Ultra-Orthodox Judaism is much better in this regard. Although Agudat Yisrael (the original major political party that represented Ultra-Orthodox Jews) initially opposed the Zionist enterprise, this changed after the creation of the state of Israel. These Ultra-Orthodox Jews saw the Israeli state as a means for “state enforcement of religious laws” and wanted “increased state financial support for their schools and for religious institutions” (quotes taken from the Zionism & Israel Center‘s official website). 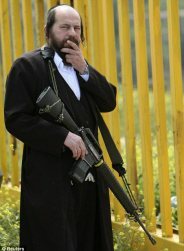 Today, “though still non-Zionist, [these Ultra-Orthodox Jews] tend to favor perpetuation of the occupation and vote with the right against peace moves or negotiations.” Their right-wing attitudes towards Palestinians are reflected in the earlier statistic I cited, which showed that an overwhelming majority (71%) of Ultra-Orthodox Jews support price tag terrorism against Palestinians, which is almost exactly the same percentage of Religious Zionists (70%) who do. Ultra-Orthodox Judaism in Israel has been heavily influenced by Zionism and Religious Zionism, especially in their hostile views towards the indigenous Palestinians. However, because many Israelis feel that Ultra-Orthodox Jews are “extreme,” I will focus my discussion here on the more “mainstream” sect, Modern Orthodox Judaism. (In a follow-up article, I will outline the Ultra-Orthodox view on such subjects in order to prove that there is an emerging “bipartisan” consensus on these issues within Orthodox Judaism in Israel.) For now, however, I will largely stick to the generally accepted views within Religious Zionism. Therefore, in my article The Top Five Ways Jewish Law Justifies Killing Civilians–the title that will be used for the remaining article series–I will not focus on Yizhak Shapira’s book the King’s Torah. Despite the fact that Modern Orthodox Judaism’s rabbis seemed to accept Shapira’s views “governing the killing of a non-Jew’ outlined in the book [as] a legitimate stance” and a valid “halachic opinion,” I will bypass all such discussion by focusing on majority views held by Religious Zionism and Modern Orthodox Judaism, not the more extreme Kahanist sect of Religious Zionism. In so doing, I will show that these majority views are hardly less worrisome than Rabbi Shapira’s opinions expressed in the King’s Torah. I will show that one need not look to settler rabbis, Kahanists, or Ultra-Orthodox Jews to find extremely warlike views. The mainstream Modern Orthodox rabbinical leadership will suffice. Worse yet, Israeli Jews–deeply religious Jews–are leading the fight against the concept of distinction, the fundamental aspect of the just war theory. They are applying pressure to change international law and to abrogate the regulations of the Geneva Conventions, which they believe are “archaic” and inapplicable today. Could it be said, using the emotive language of our opponents, that Judaism is waging war against the principle of distinction? The purpose of this is to prove that if there are problems within the house of Islam (which there certainly are), let it be known that the house of Judaism is no different in this regard. It would behoove us to remind ourselves of this before we point the accusatory finger at The Other. Extremist Zionist Islamophobes like Pamela Geller–and their Christian comrades-in-arms like Robert Spencer–should take note. I see you really are making huge progress Susanna, in fact about 1400yrs worth of progress. So BRAVO to you!! As for the rest, read what Jack Cope Says on: October 11th, 2011 at 10:31 am, in order for your progress to be completed. In the mean-time, Ciao!! any chance loonwatch getting a spell check ? Susanna, I agree, but again you never pass on this courtesy to Muslims or Islam. It’s double standards at the least. I’d also add that any of Muhammad’s campaigns were defensive in nature and that, really, there is no trace of ‘spreading by the sword’. Because, as we both agree, forced conversion is worthless, the Qu’ran states so. True conversion to any faith is a matter of heart born of belief . Why do you think it is just a christian thing to feel that way ? The Quran I am told is quite clear on this firstly only god knows the heart of man and secondly and may be as a consequence there can be no compulsion in religion. Such faith I can see as a great comport to many people , not that I have it myself but I respect it in others. While you are correct in your comment about Theodosius, Christians were persecuted from the beginning of the church in 1st century. While predominately Jewish, the church suffered at the hands of the Jewish religious leaders. In its beginnings, Christians did not force by physical means any conversion. In fact, they were pacifists. While one would condemn any killing, Theodosius sought to stamp out paganism, much like Mohammad did when Islam was first conceived and propagated in the 7th century. True conversion to new life in Christ, is a matter of the heart, faith born of belief, the confessing it out of the mouth. Forced conversion was always wrong, still is because only God knows the heart of man. Susanna, since you asked, in 380 that the Emperor Theodosius made Christianity the official religion of the Roman Empire in place of paganism. After this, the newly ‘Christianized’ Romans proceeded to slaughter large amounts of pagans both at home and abroad. Oh and yes, of course the Romans also used to persecute Christians as well but it was hardly like the films portray with lions and stuff. Anyway, they’d pretty much stopped doing this well before the 3C AD. Just one example out from many, do you need more? The defense ‘it’s OK becuase it didn’t happen between 1C and 7C’ AD isn’t really solid. Interesting how you haven’t yet replied to a single point put to you yet clearly read the thread by the way. Shall we take it as you can’t answer? Enlighten me on christian atrocities in the 1st century up to the 7th. Susanna, you obviously missed Danios sarcasm behind his “lol” – as he was laughing(out loud) at your ridiculous question. Of course there is plenty( too many to count) ‘examples’ of murder and genocides associated with Christianity. And feigning ignorance about christian atrocities for the past 2000yrs wont make history disappear.